Whitney Houston will be laid to rest on Saturday, 18 February, in the New Jersey church where she sang as a child. The owner of the Whigham Funeral Home in Newark said Whitney Houston funeral will be held at 12:00 EST at New Jersey’s New Hope Baptist Church. Whitney Houston’s body was flown from Los Angeles to her home neighbourhood in New Jersey last night. The late singer’s body was flown in a private jet reportedly owned by Tyler Perry and transported to Newark’s Whigham Funeral Home, which handled the 2003 funeral of her father. The private jet was said to be chartered by the highest paid man in entertainment Tyler Perry. The Atlanta-born actor is said to have rushed to the hospital when he heard about his close friend’s death and offered his plane to her family right away, according to sources. Whitney Houston’s body touched down at New Jersey’s Teterboro Airport at 10:30 p.m. last night after the Gulfstream III jet took off from California’s Van Nuys airport following its release from the LA County Department of Coroner. The funeral home’s owner, Carolyn Whigham, said the funeral service would be by invitation only, adding it would be a “private time” for the Houston family. The body of the 48-year-old singer was found in a bathtub at her suite in Beverly Hilton hotel on Saturday, surrounded by different bottles of prescription pills including ibuprofen – a painkiller, Xanax – an anti-anxiety drug, Midol – for menstrual cramps, amoxicillin – for bacterial infections and several others. 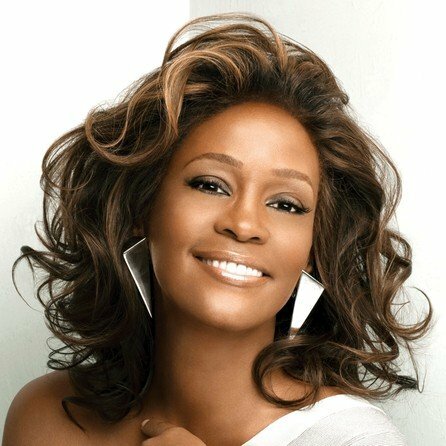 Friends have spoken out to say Whitney Houston’s premature death was “not a great surprise” due to her “downward spiral” which was helped along by others. “As sad as this sounds, it’s not a great surprise and yet, it’s unbelievable,” a music source told People magazine. According to one source, Whitney Houston spent her last days in a drug-fuelled trance. “She was like a zombie,” the source said. It has also emerged that the Beverly Hilton Hotel management asked the coroner to leave Whitney Houston’s body in her hotel room until the Clive Davis’ pre-Grammy party finished, according to RadarOnline. A source told the website the decision was made “out of respect for Whitney Houston” and amid security concerns. But it was also reported that the management did not want to upset guests at the hotel either. “It would be insensitive for the van to be driven out with her body as limos were pulling away with the A-list guests,” the source said. Whitney Houston’s body was eventually removed after midnight, when officers had finished their on-scene work. Toxicology tests are under way, following an autopsy on Sunday and the authorities say it may be up to eight weeks before they can confirm the cause of death. No criminal probe is under way, police said, but the Los Angeles coroner said her room did contain some prescription drugs.